In many ways, the pictorial arts followed the Gothic arts in their development. 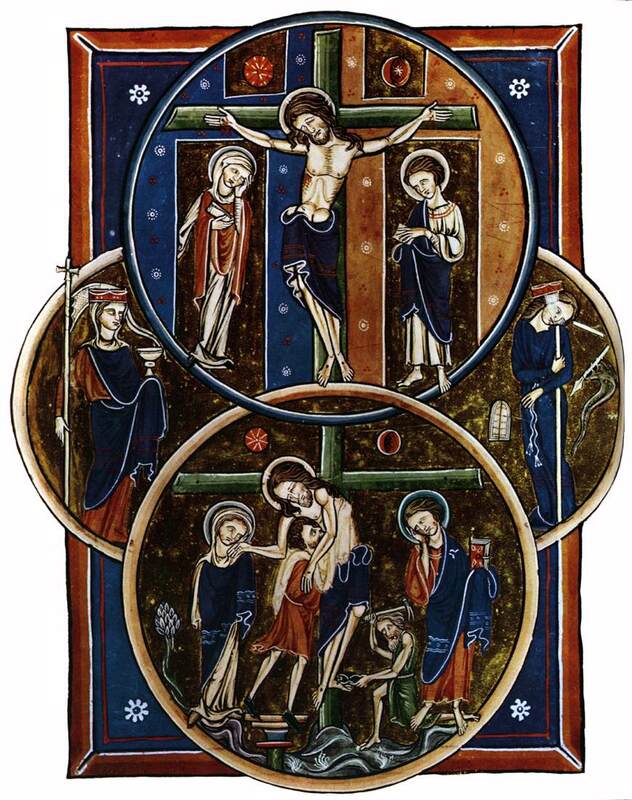 This is seen most clearly in illuminated sacred manuscripts of the time, such as the psalter made for the mother of Louis IX while she served as regent for the young, future king. The style is reminiscent of the style used in the stained glass images seen in Gothic cathedrals, and its geometric order is very Gothic in style.